Melinda Ann French was born on August 15, 1964 in Dallas Texas. She was the second of four children to Raymond Joseph French Jr., an Aerospace engineer, and Elaine Agnes Amerland, a homemaker. Melinda has an older sister and two younger brothers. 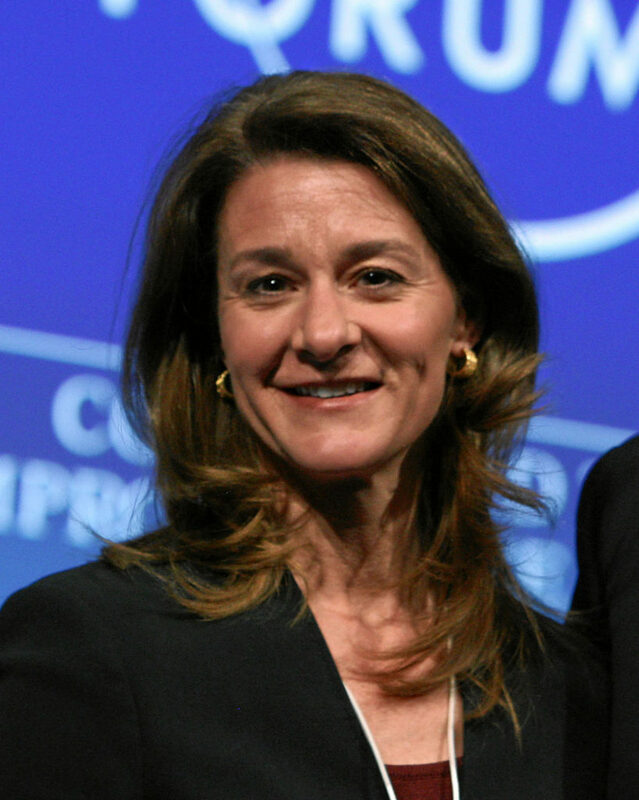 Melinda French Gates, is an American businessperson and philanthropist. 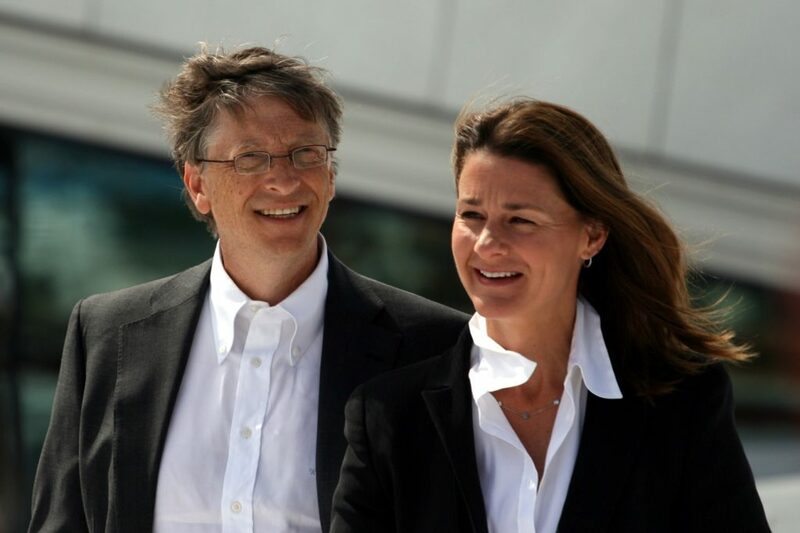 She is the wife of Bill Gates and the cofounder of the Bill & Melinda Gates Foundation. She worked at Microsoft, where she was Project Manager for Microsoft Bob, Microsoft Encarta an Expedia. Gates’ first job was tutoring math and computer programming to children. After graduation, Melinda joined Microsoft as a marketing manager, where she was responsible for leading the development of various multimedia products. These included Cinema, Encarta, Publisher, Microsoft Bob, Money and Word. In addition, she worked on Expedia, which is now one of today’s biggest travel booking websites. Despite the commercial failure of Microsoft Bob, Gates later recalled that a software demo was “one of the hardest things I’ve ever done”. In the early 1990s, Gates was appointed as General Manager of Information Products, a position in which she held until 1996. She later left Microsoft to focus on starting and raising her family. In November 2006, Melinda was awarded the Insignia of the Order of the Aztec Eagle, together with Bill, who was awarded the Placard of the same order, both for their philanthropic work around the world in the areas of health and education, particularly in Mexico, and specifically in the program “Un País de Lectores”. In May 2006, in honor of her work to improve the lives of children locally and around the world, Seattle Children’s Hospital dedicated the Melinda French Gates Ambulatory Care building at Seattle Children’s. She chaired a campaign for the hospital to fundraise $300 million to expand facilities, fund under-compensated care and grow the hospital’s research program to find cures and treatments. Cofounder: when more than one person gets together in order to start a business. Joined: when one or more things get together with the same purpose. Leading: to guide, to take charge of things and take them in one direction. Despite: in spite of, regardless, without being affected by. Raising: to grow up and look after the growth of other people. Awarded: to give a prize to someone who has accomplished a goal or task. Improve: to become better at something that you’re doing. Expand: to become or make larger or more extensive. Chaired: to be in charge of something, to guide a meeting or campaign. Fund: to provide money for a particular purpose. As you read, don’t get overwhelmed with every word. Get the main idea from what you’ve read and you can always take it from there. What do you like about Melinda Gates? What do you think about this amazing woman who has accomplished all these things?